Archbold’s Rigo Ramos dribbles the ball on the wing in a Division III regional title game last season. He is a key piece returning for the Blue Streaks in 2018-19. Austin Wiemken scores for Archbold during a game last season. He returns after averaging over 10 points and nearly four and a half rebounds per game a season ago. 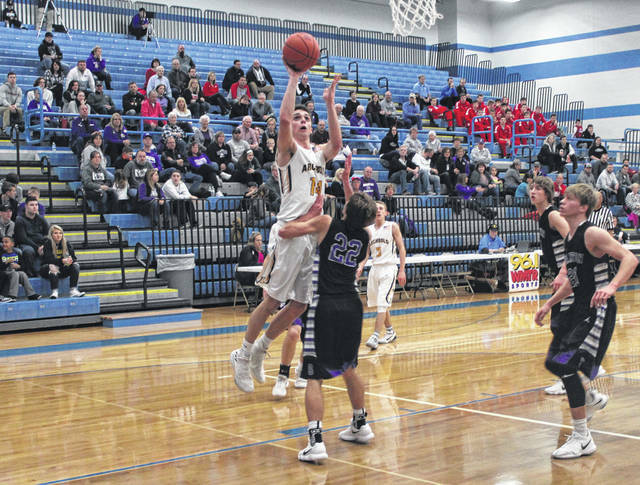 Archbold boys basketball looks to dethrone Wauseon in the Northwest Ohio Athletic League this season. The Blue Streaks return six letter winners off last year’s squad that came just shy of making back-to-back trips to state. Frank, who served as the junior varsity coach the past 34 seasons at Archbold, takes over for longtime coach Doug Krauss who retired after last season. The Streaks were 22-4 in Krauss’ final season. Notable returnees for the Streaks are Rigo Ramos (honorable mention All-NWOAL, second team District 7), Austin Wiemken (honorable mention All-NWOAL, District 7), and Jeron Williams. Ramos averaged 11.2 points and 4.2 rebounds per game last season, while Wiemken notched 10.2 points and 4.4 rebounds per game. Jeron Williams was at nearly 4 (3.7) points per game and posted 52 assists off the bench for the Streaks. Other returning letter winners are Elijah Zimmerman, Travis Ziegler and AJ Mahnke. Newcomers for the Streaks will be Andrew Hogrefe, Matthew Gladieux, Ethan Hagans and Noah Cheney. 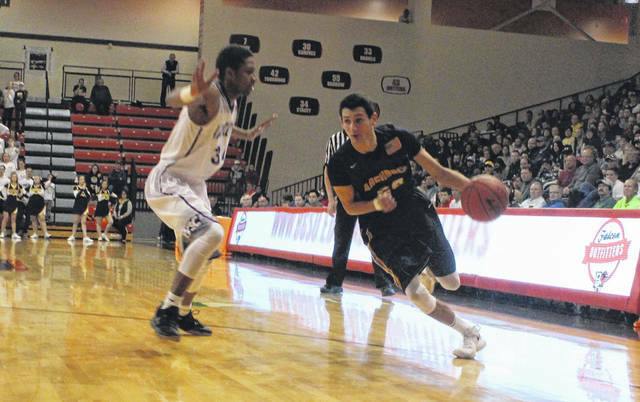 Archbold will have to replace some key players from the 2017-18 squad. The most notable loss is Bryce Williams who received first team honors in the NWOAL, Northwest District and District 7, along with being named special mention All-Ohio. Also gone are Eli Miller (first team All-NWOAL, first team District 7, honorable mention all-district), Kaiden Bedsole (honorable mention All-NWOAL, District 7), Cash Gericke and Caleb Wooley. “We graduated five seniors who accumulated 17 letters in basketball,” stated Frank. “We do return four players who played a lot of minutes last season but will need to develop some depth from first-year varsity players. Archbold, after watching rival Wauseon take the league title outright each of the past two seasons, would like to move back to the front of the pack this season. The Streaks and Indians square off in Archbold for a non-league tilt this Saturday.